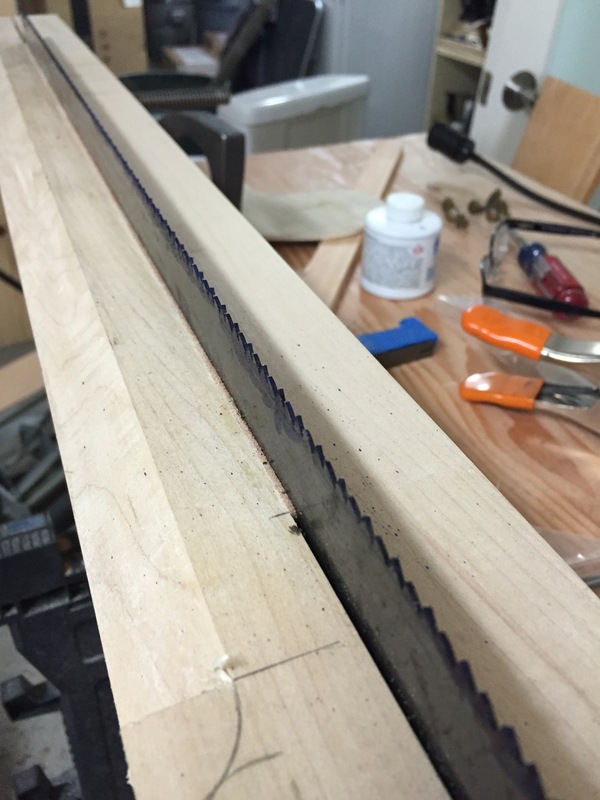 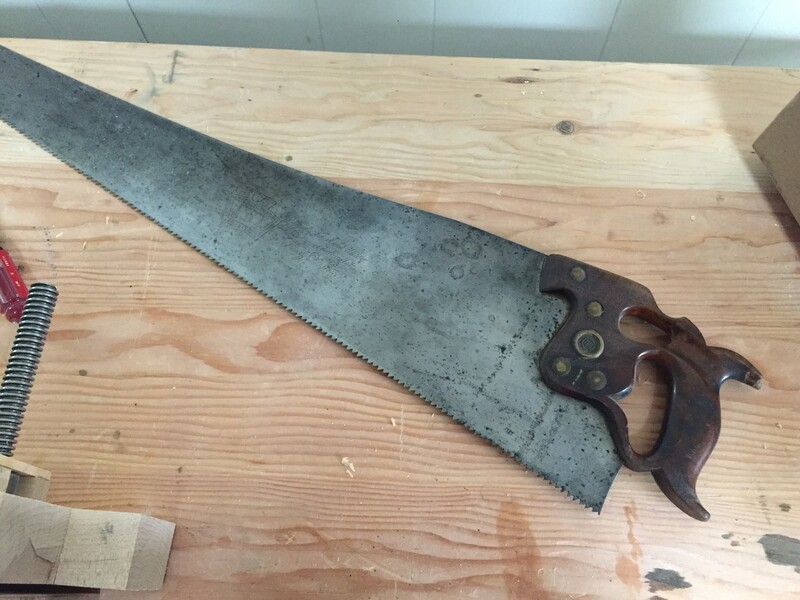 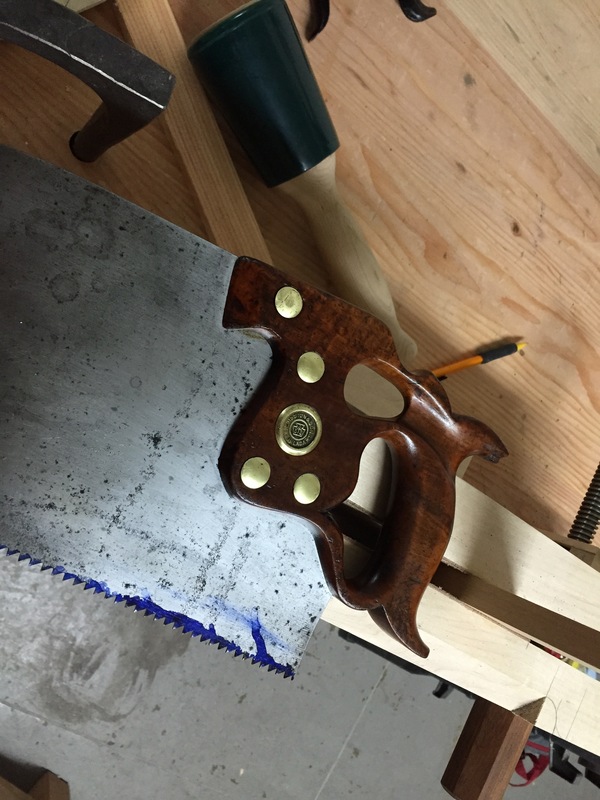 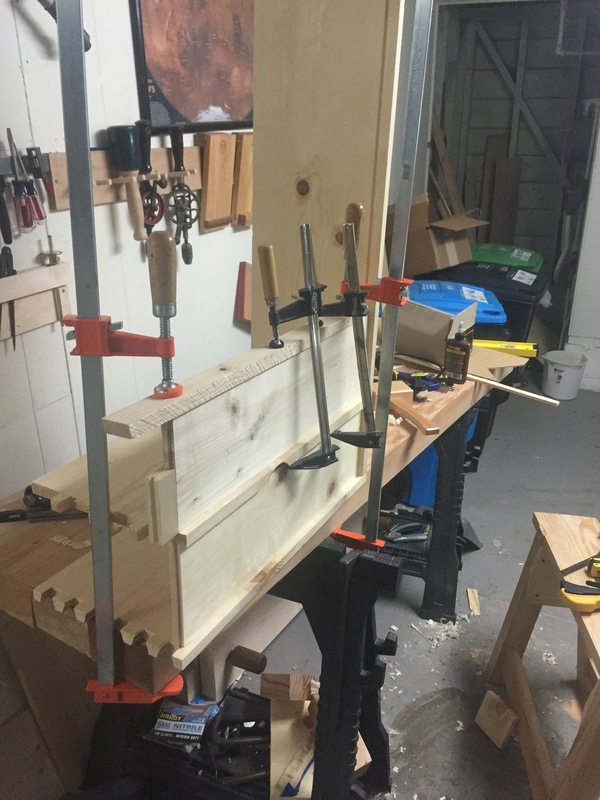 Harvey Ellis Saw Till – Part 7 – Assembly Cont. 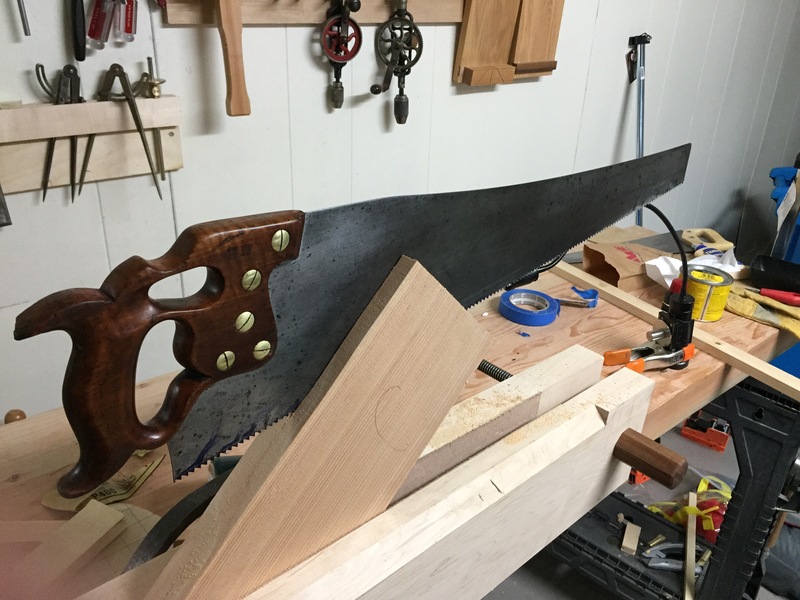 It was a productive weekend despite not getting many hours in the shop. 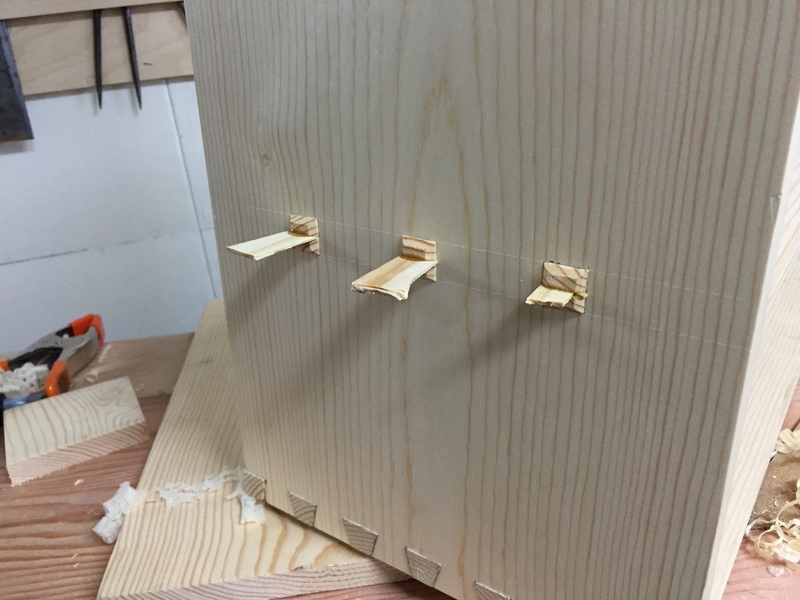 Because I am using cheap pine dimensional pine from the hardware store, I decided to use the back panels to ensure that each of the horizontal pieces (the top, bottom, and divider) would stay flat by gluing one back panel to each horizontal to act a brace. 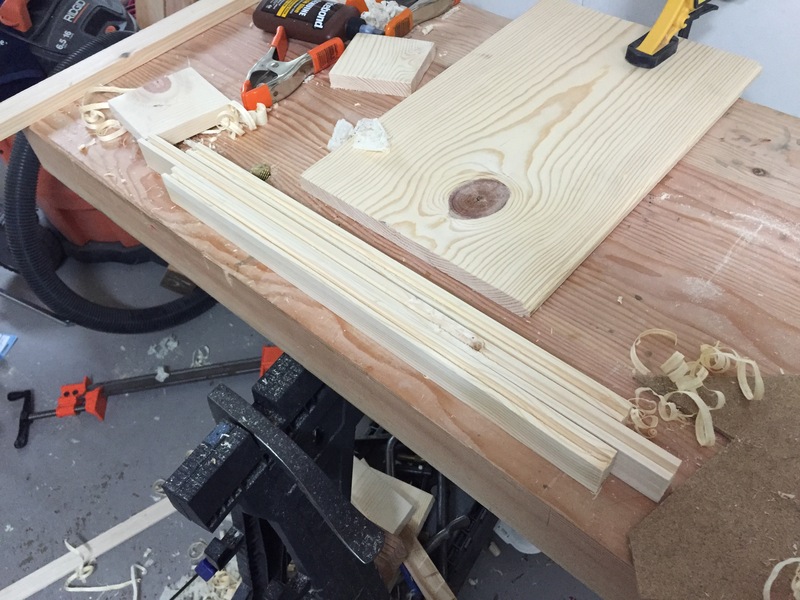 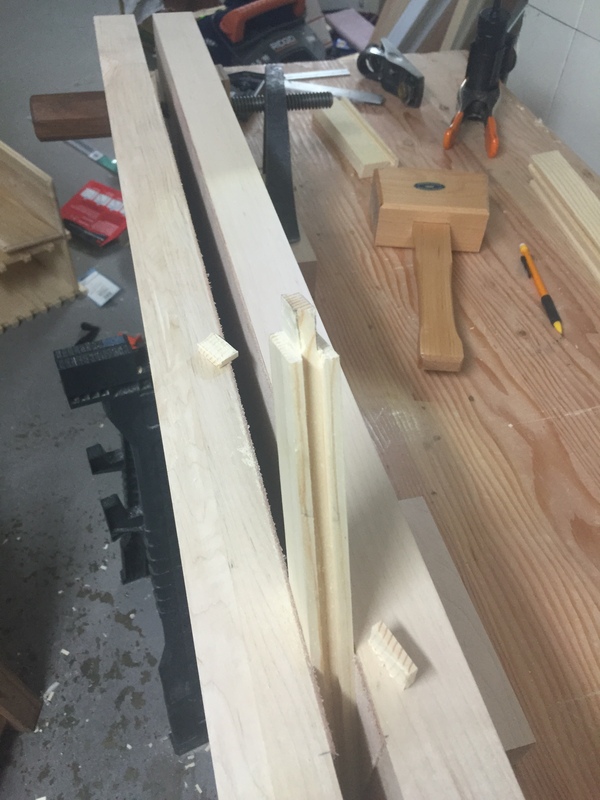 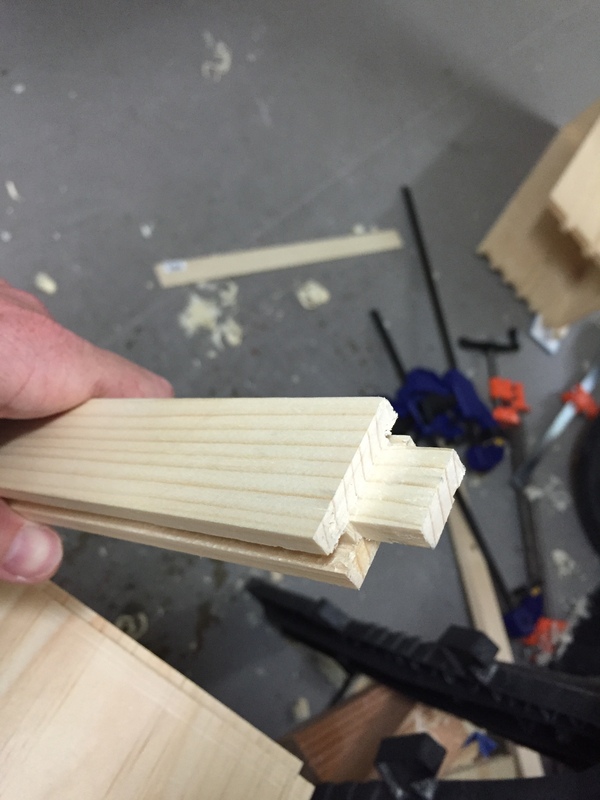 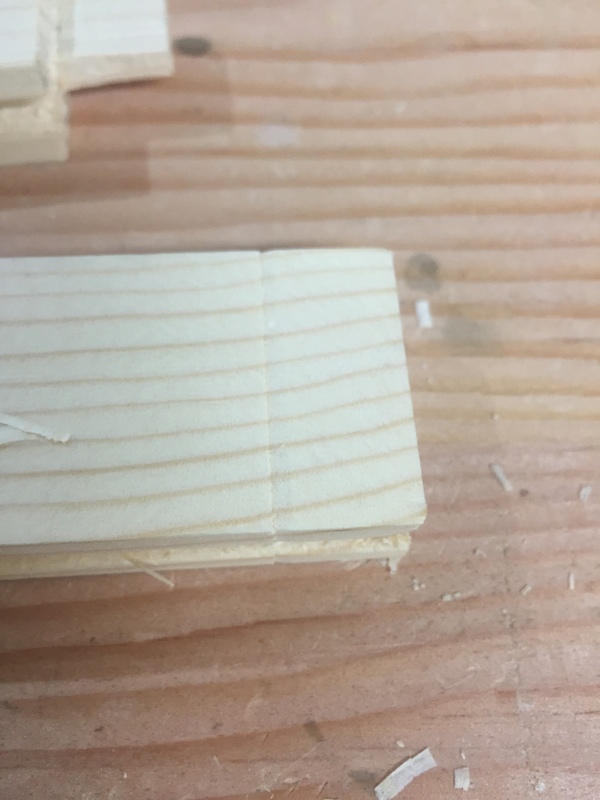 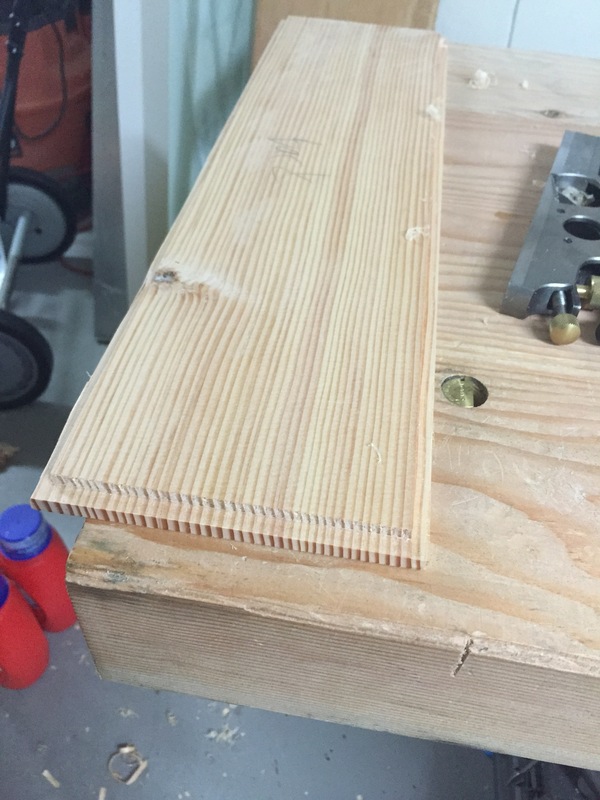 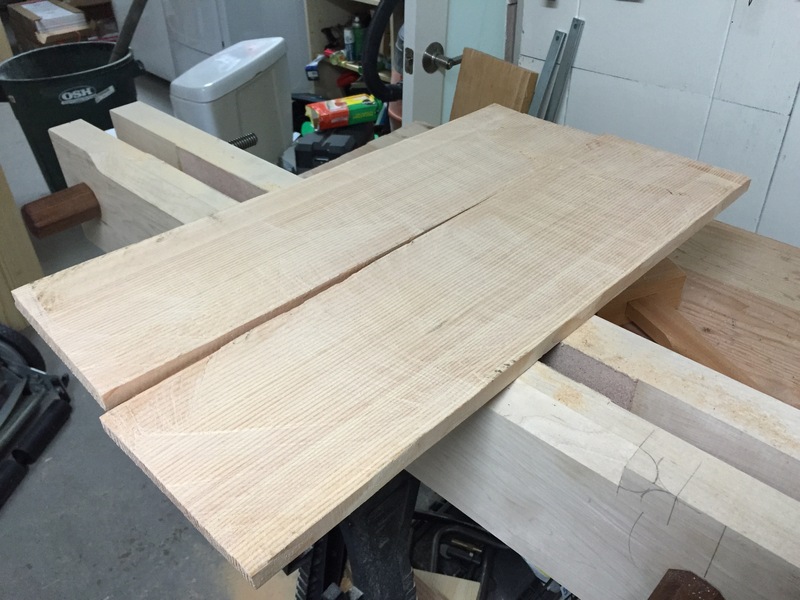 Since each panel is only glued to one horizontal piece there should be no wood movement issues and this is a long grain to long grain glue joint which should hold well. 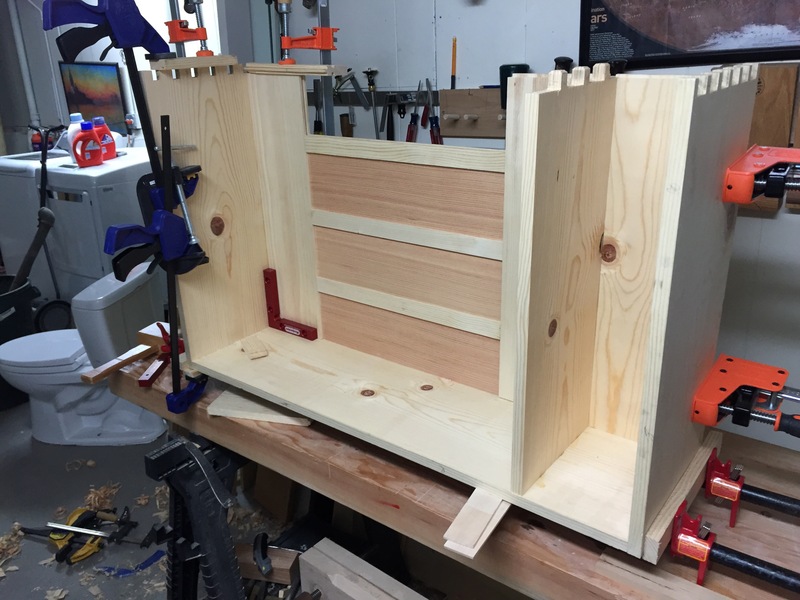 While the bottom panel dried, it was time to get the divider ready for glue up. 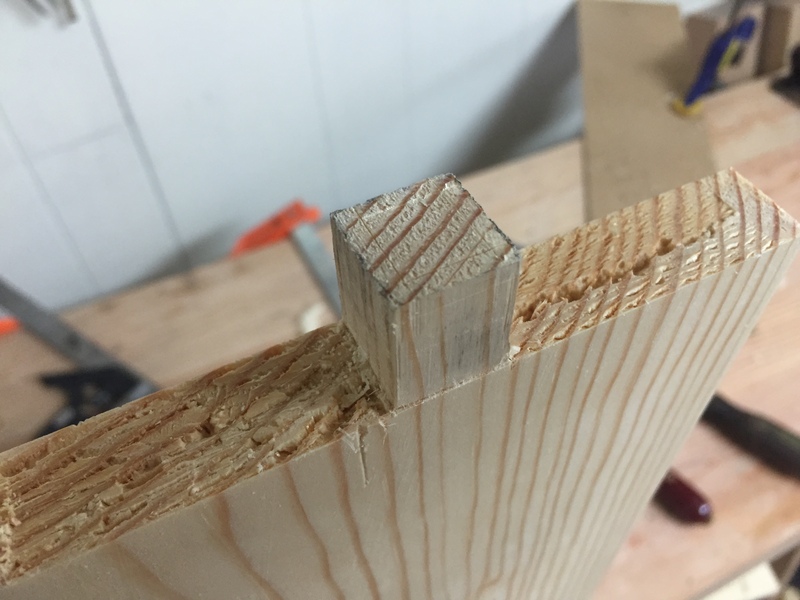 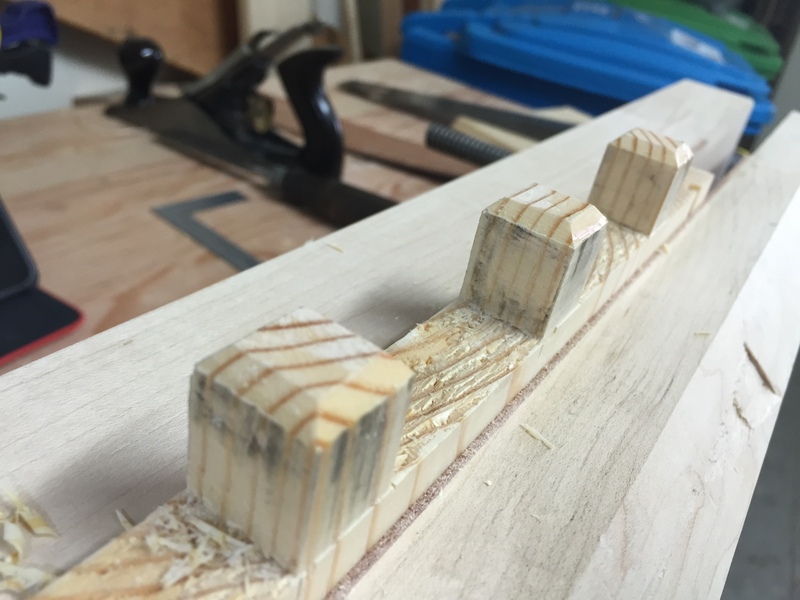 I set me marking gauge to 1/8th of an inch and marked the sides and end of each through tenon;then I used my sharpest chisel to bevel each edge to the lines; and used a back saw to split each tenon for the wedges. 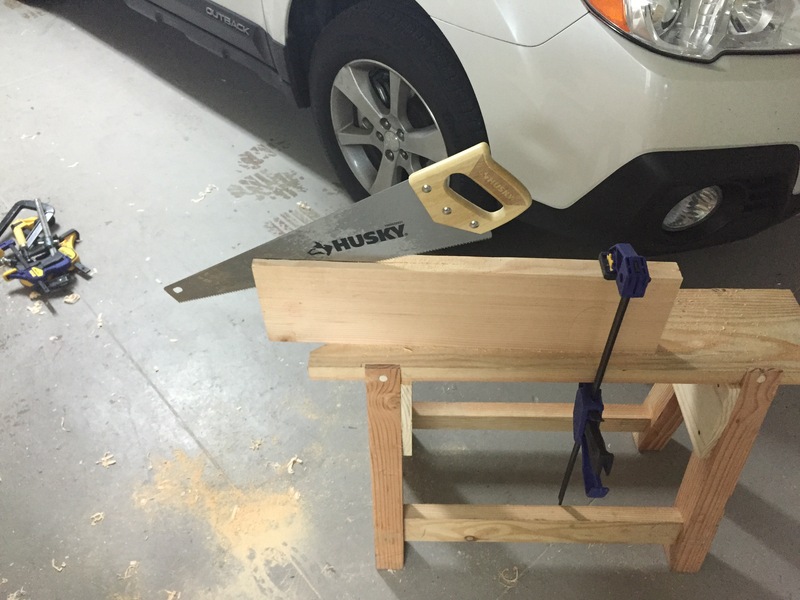 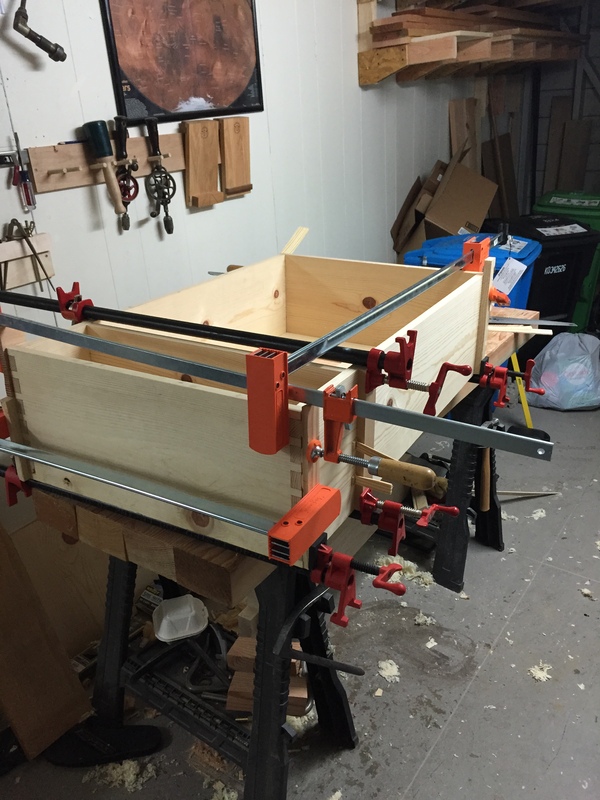 Once the divider was clamped into place I hammed in the wedges (pre-made pine shims from the hardware store). 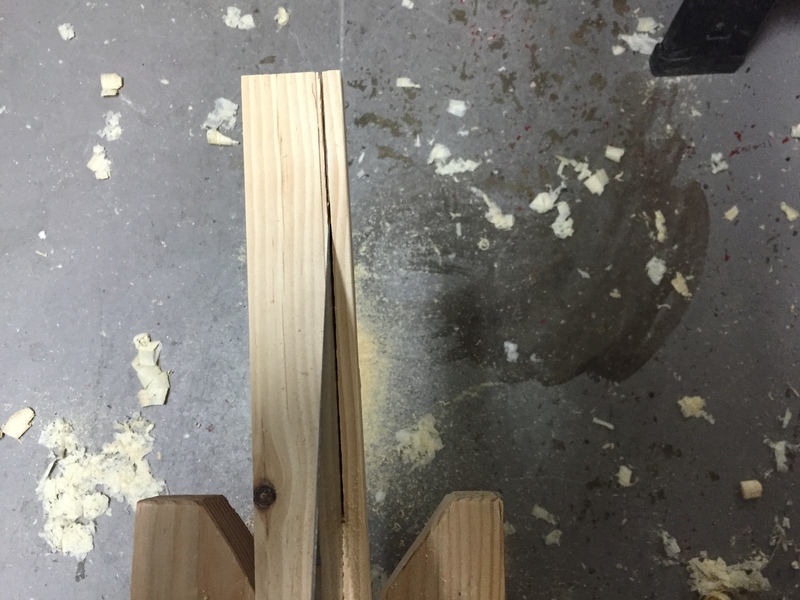 Once the glue had set up I removed the clamps, sawed of the excess wedge, and paired down the ends with a sharp chisel. 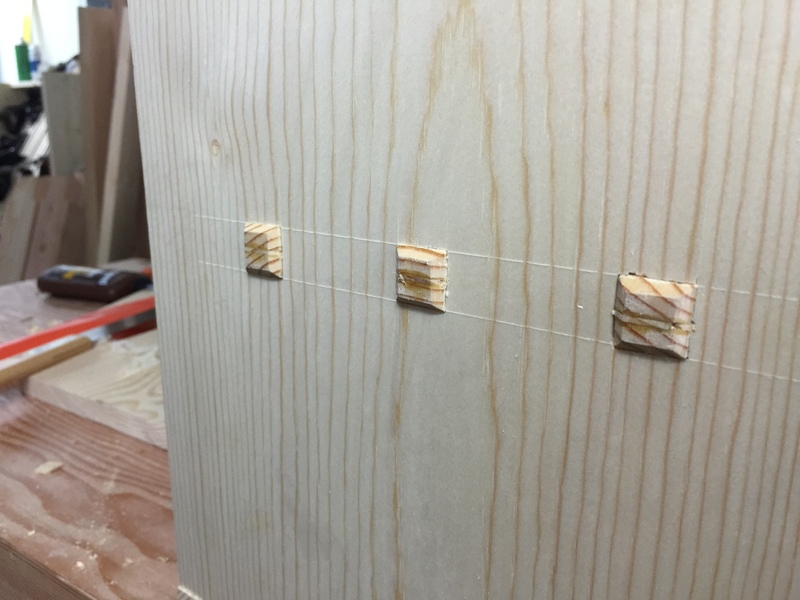 The dovetail pins were supposed to get the same bevel treatment but I realized too late that I forgot to add an additional 1/8th of an inch to their length when I cut them. 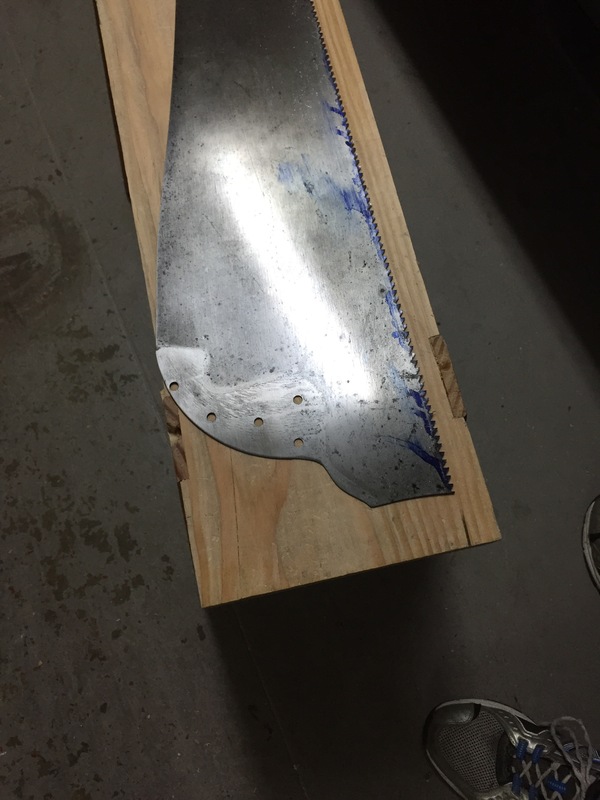 Next I ripped and planned the material for the vertical pieces of the back and added grooves down each long edge using the same plow plan settings as the back panels. 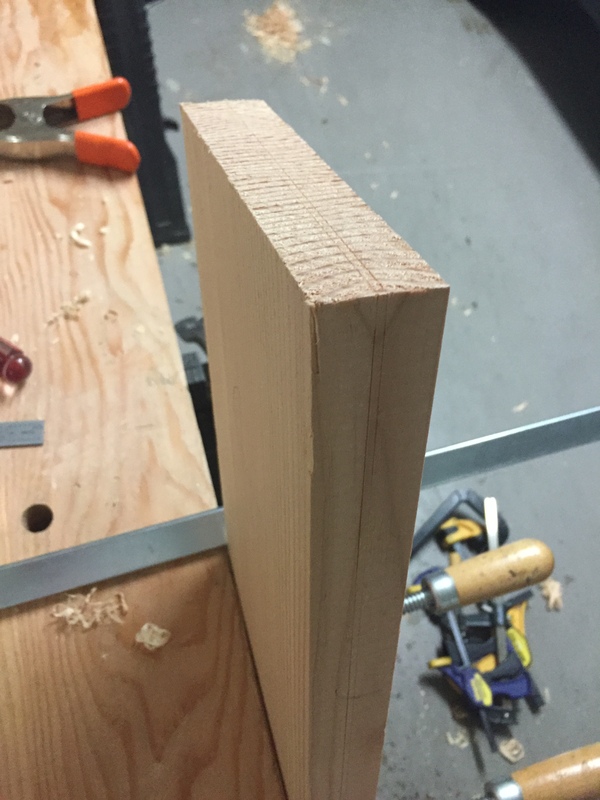 I think I am starting to get better at planning square and flat surfaces on smaller parts. 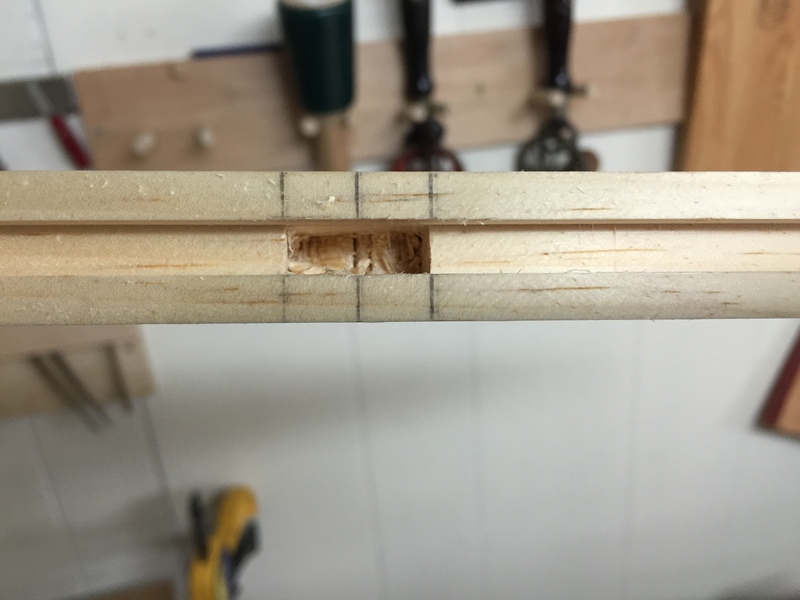 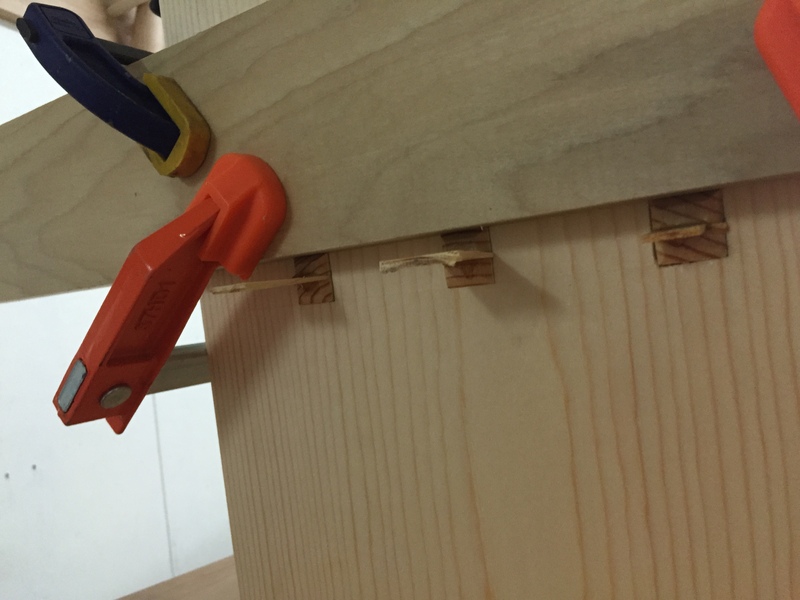 Originally I planned to use stub tenons which would sit in the same groove as the panel but I decided to use a mortise for the center one to keep it from moving around. 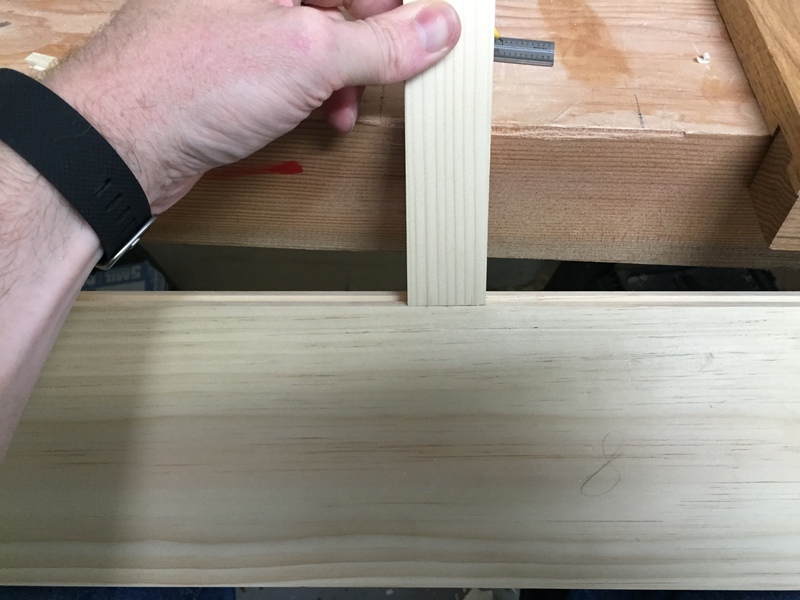 I placed both of the upper back panels together and marked the center point and the ends of my mortise, I decided to go with a 3/4 inch mortise/tenon. 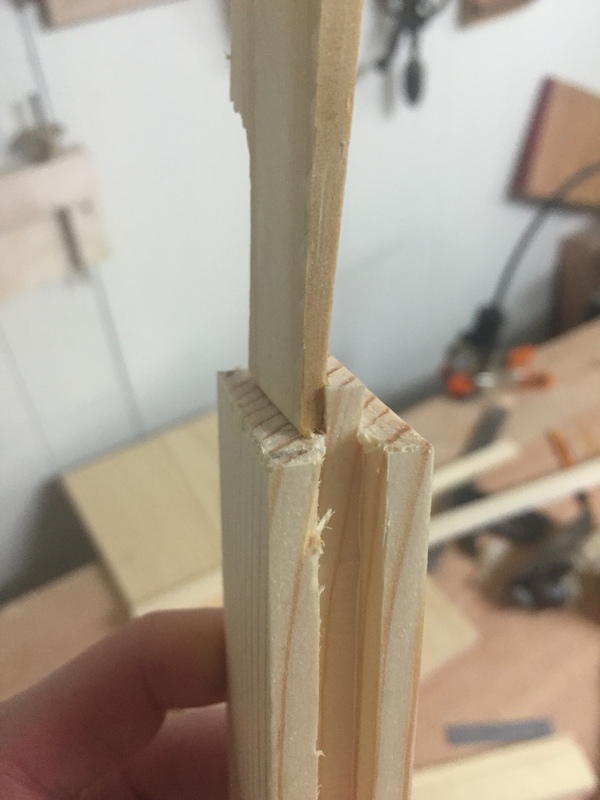 I then used my ¼ inch mortise chisel to chop out both mortises in line with the groove and used by back-saw to cut the tenon. 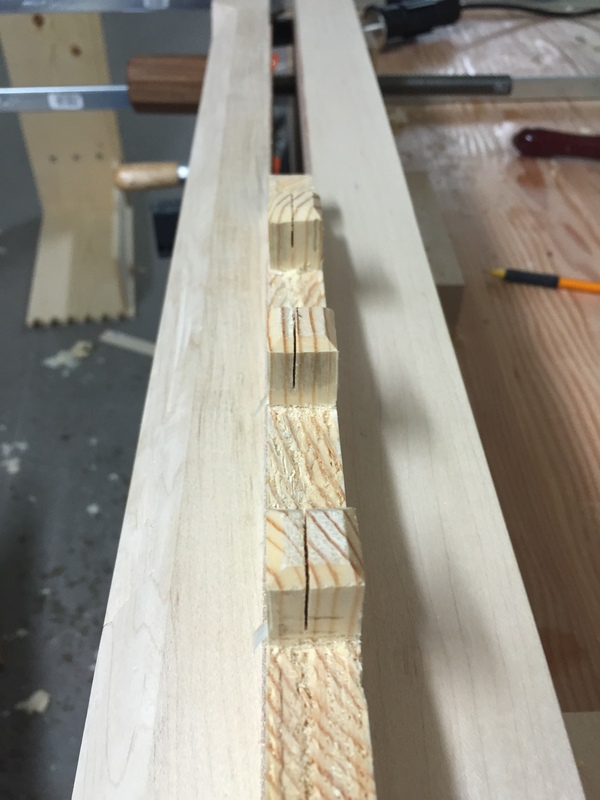 A bit of pairing with a chisel resulted in a pretty decent fit, though for the other end I will use the router plane to make sure tenon is parallel with the faces. 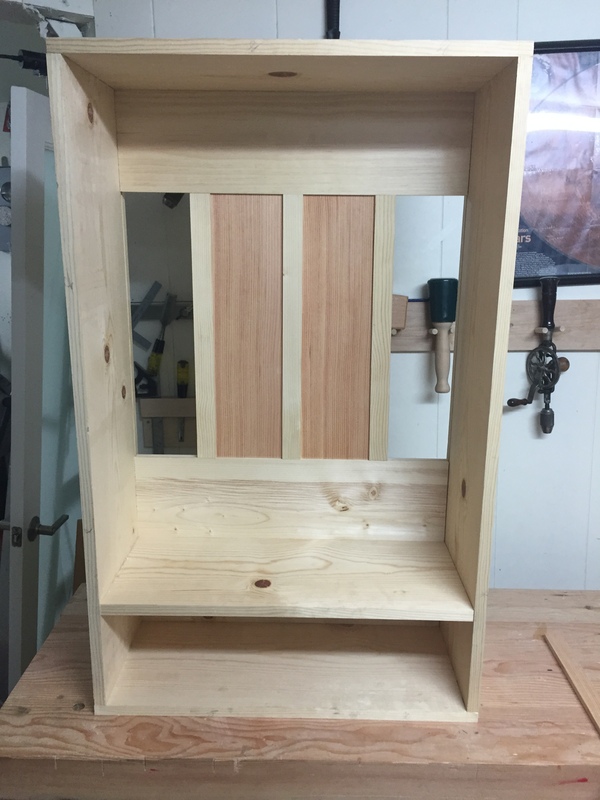 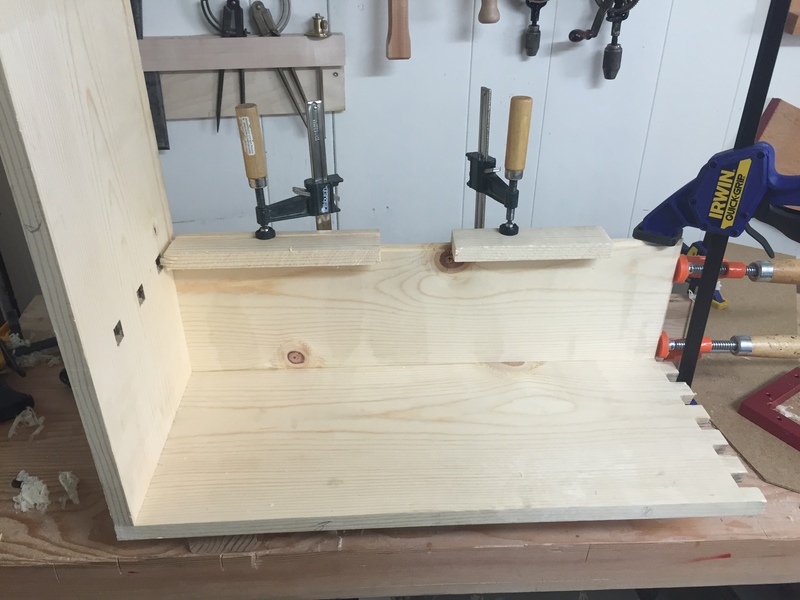 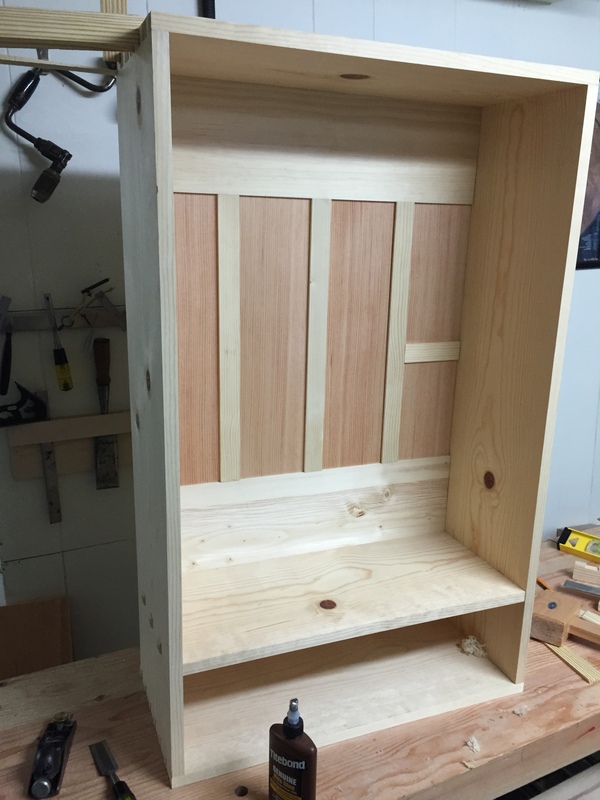 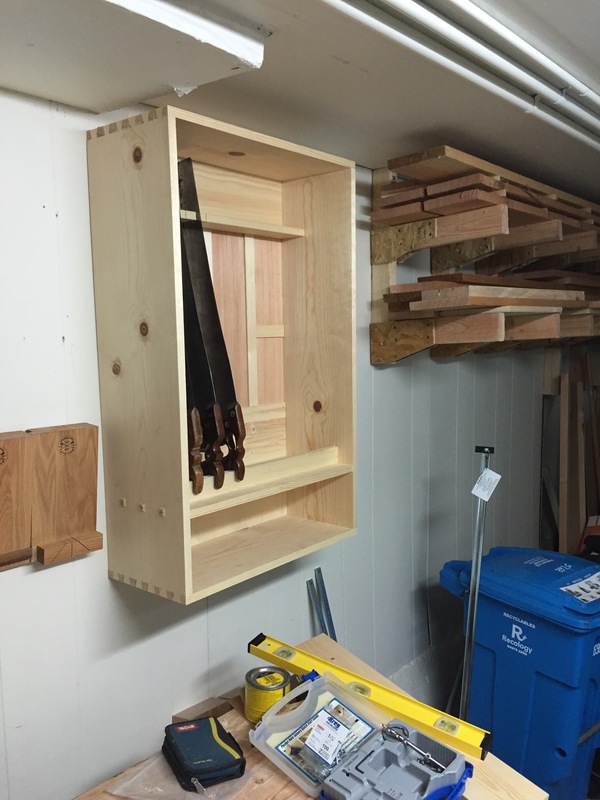 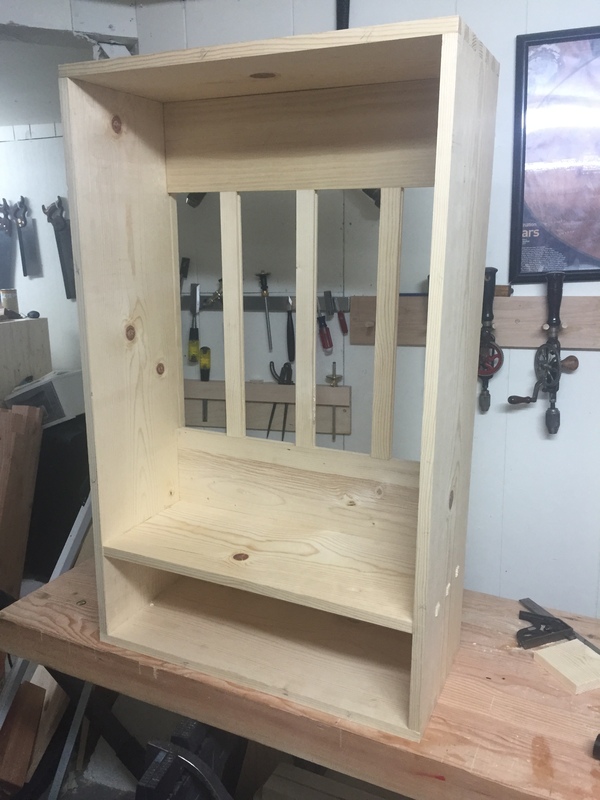 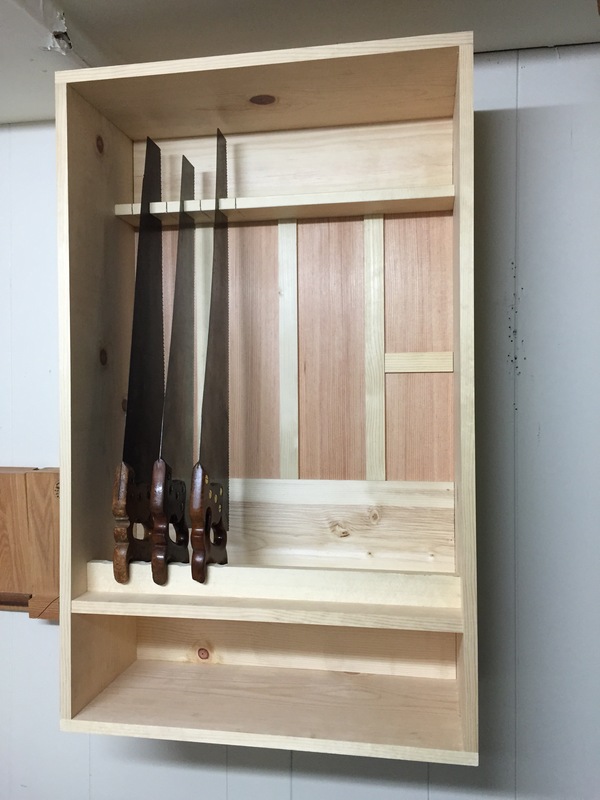 I still need to cut the tenon on the other side and then do the same with the other two vertical dividers. 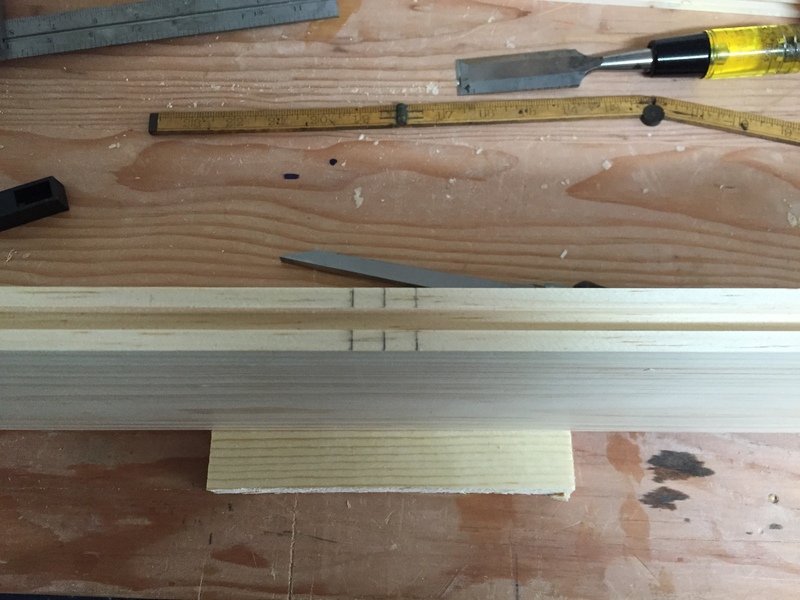 I really should cut mortises and tenons for the other two as well but unfortunately I don’t think they are quite long enough so doing so would mean making new pieces.